LINCOLN, NEBRASKA – The next deadline for Renewable Energy for America Program (REAP) grants is October 31, 2015. This deadline for grant applications has designated funding for small projects requesting $20,000 or less (25% of total eligible project costs). Grant requests for this round have a simplified, streamlined process and can be as low as $2,500 for renewable energy projects and $1,500 for energy efficiency projects. All agricultural producers, including farmers and ranchers, who derive 50% or more of their gross income from agricultural operations are eligible. Businesses in a rural area, meeting the Small Business Administration size standards, may also apply. A private entity, a rural utility, and rural electric cooperatives are typically eligible; however, nonprofit and public bodies are not eligible. Applications are due by 4:30 p.m. CST on October 31, 2015. Please contact Jeff Carpenter, State Energy Coordinator, at the Nebraska USDA Rural Development State Office, Suite 308, Federal Building 100 Centennial Mall North Lincoln, Nebraska 68508, call 402-437-5554 or email jeff.carpenter@ne.usda.gov. The next funding deadline will be April 30, 2016 for projects of any size with maximum grants limited to $500,000 for renewable energy projects and $250,000 for energy efficiency projects (25% of total eligible project costs). Any eligible applications not funded during the October 31, 2015 funding cycle will be reconsidered. 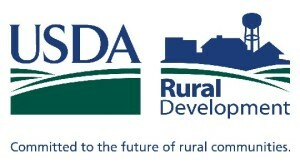 To find the office which serves your county visit: http://www.rd.usda.gov/programs-services/rural-energy-america-program-re...Click on “View All State Program Contacts.” You may also visit this same website for more general information on the program and details on how to apply for funding. This entry was posted in Nebraska / Midwest News, NewsBlog and tagged Jeff Carpenter, Nebraska recipients of REAP funding, Nebraska USDA Rural Development State Office, Nebraskans for Solar, Rural Energy for America Program (REAP), U.S. Department of Agriculture (USDA) on October 24, 2015 by Helen Deffenbacher.